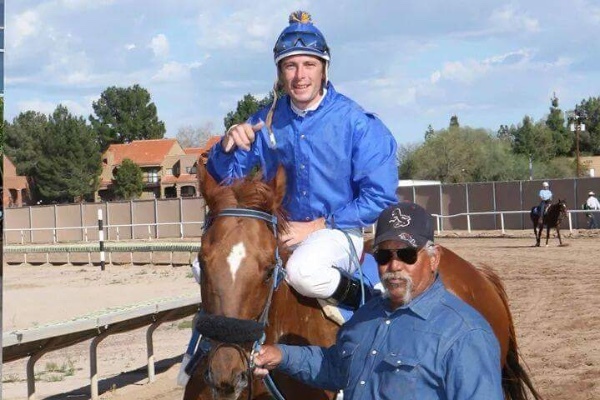 Jockey Michael Ybarra went down in a race at Rillito Park in Tucson, Arizona on Sunday March 13, 2016. He is in the hospital with a broken nose, fracture of his eye socket, and a bleed in his brain. While the swelling in his brain has already started to go down, he faces a long road to recovery, in addition to an expensive one. Those of us who know Michael know he is one of the kindest and hard working people you could hope to meet. Michael also has a wife and one and a half year old daughter. Any donation, no matter how small, will make a difference to the family. Wishing you a fast recovery to you and all the brave jockeys that have been injured.